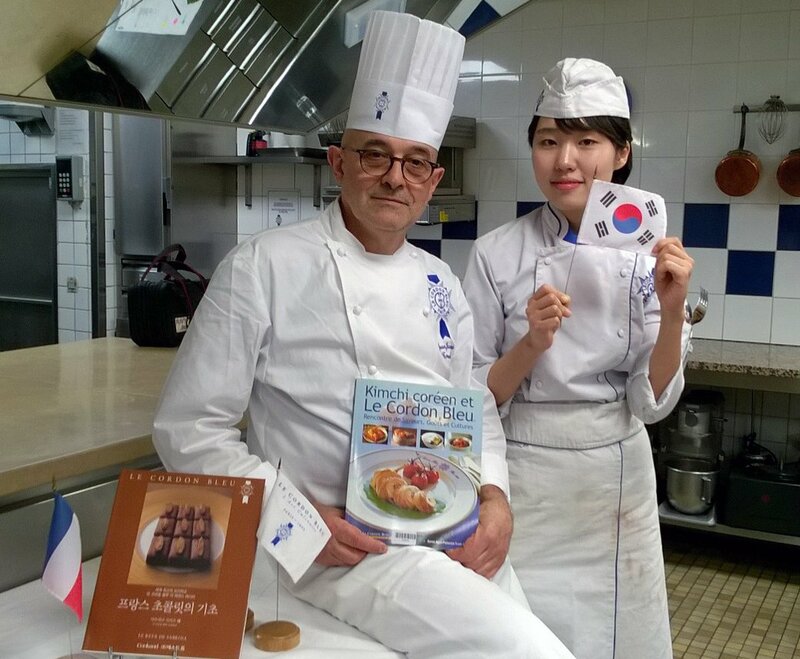 On 12 April, Le Cordon Bleu, celebrated the year of Korea in France, in partnership with the libraries of Paris. To mark the occasion, a culinary demonstration was organized at Le Cordon Bleu Paris Institute, in the 15th arrondissement. Those present had the opportunity to taste the creations which were a celebration of the two cultures. Les participants ont pu déguster la préparation célébrant les deux cultures. With more than 120 years of teaching experience, Le Cordon Bleu is the leading Global Network of Culinary Arts and Hospitality Management Institutes, training 20 000 students of more than 100 nationalities every year. Le Cordon Bleu offers a range of widely-recognized training programmes in the fields of gastronomy, wine, hospitality and tourism, from initiation through to MBA. With 35 institutes in the world, Le Cordon Bleu is also present in Korea in partnership with Sookmyung Academy, the leading private university for women in Korea. Located in Seoul, the nerve centre of cultural, university, political and economic life in the country, Le Cordon Bleu-Sookmyung Academy was created in 2002, with the common goal of training and supporting future international culinary industry leaders. Le Cordon Bleu not only gives support to the growth of French Culinary Art on a local scale, but is also dedicated to the recognition of a country’s culinary heritage through the promotion of local cuisines, Chefs, ingredients and flavours. Le Cordon Bleu cookbooks bear witness to the importance of the cultural exchanges which are taking place as part of the globalization of the gastronomic scene. In 2017 Le Cordon Bleu will celebrate the Year of Colombia in France!